As the internet connects us more and more with the rest of the world, we also get more and more ideas than ever before when it comes to loving on the Earth. And we think being eco-chic in everyday translates beautifully into the big day! 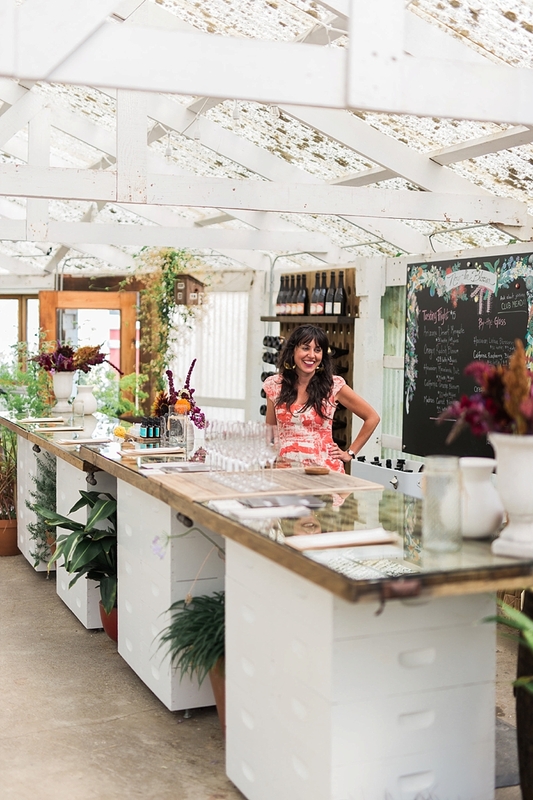 Weddings can often leave big footprints behind as large amounts of guests gather, travel, and stay, but there are simple ways to consider sustainability when planning your celebration. From ethically sourced wedding attire to recycled gold rings to natural surroundings, beautiful ideas abound that marry your eco-conscious personalities with saying I Do. 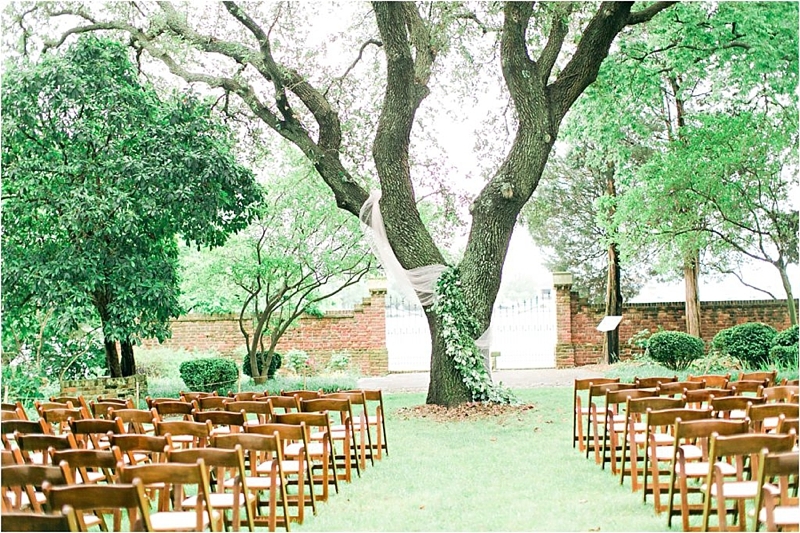 Choosing a wedding venue that has breathtaking natural scenery and one that you don't have to do much decorating is a great way to be eco-chic. Outdoor spaces, like this one at Hermitage Museum and Gardens in Norfolk, with organic beauty or historical structures with a lot of character not only can be budget-friendly but also leave a smaller footprint afterwards. 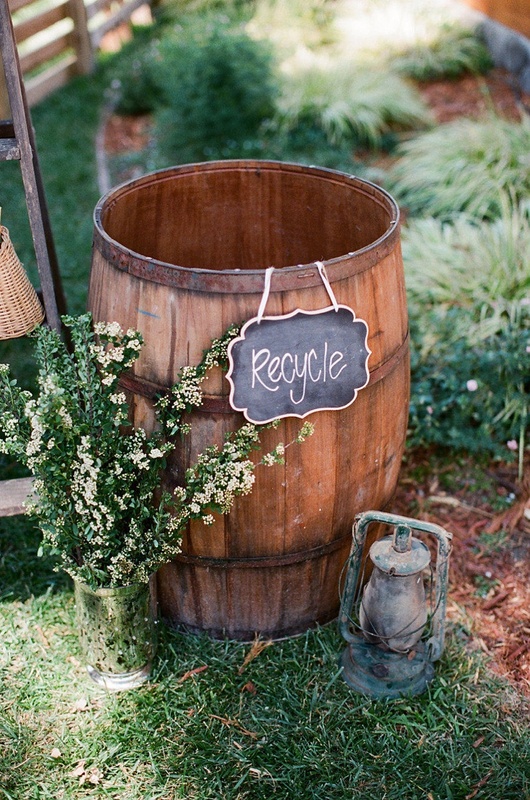 Make recycling a priority on your day by setting up a venue-friendly recycling bin near your cocktail bar and food stations, especially if you're having an outdoor celebration where cans and bottles are a necessity. If your caterer is unable to do the recycling for you, designate a recycle bin wrangler to make it happen after the festivities. We love coming across small businesses who do all they can to make their art as earth-friendly as possible. This naturally dyed ribbon is created using sustainability conscious practices such as limiting water wastage and recycling greywater for plant watering. The Etsy shop owner Meghan works with restaurants to collect food waste to create beautiful dyes from onion skins and avocado pits as well as with florists to utilize leftover flowers from weddings and events. After the ribbons are colored, all biodegradable material is composted. So you can feel good about the ribbon wrapped around your bouquet! 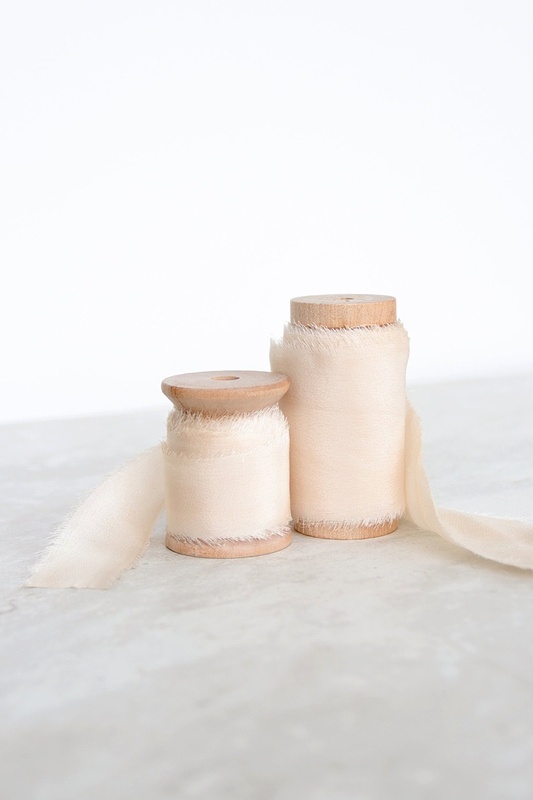 As one of the most biodegradable fabrics already, linen is made from flax plant fibers, so it tends to be a more eco-friendly fabric than cotton. Its natural texture adds a beauty to any wedding table and comes in many different shades. 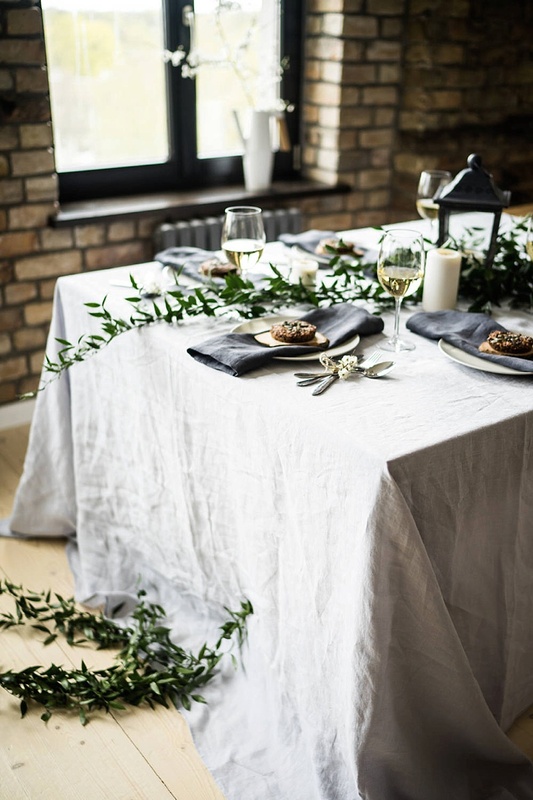 This particular tablecloth on Etsy is sustainably sourced and is shipped in biodegradable packaging for you to keep on giving back to the environment. In a fight to reduce single use plastic, Heidi started selling personalized stainless steel straws and pouches in her Etsy shop. 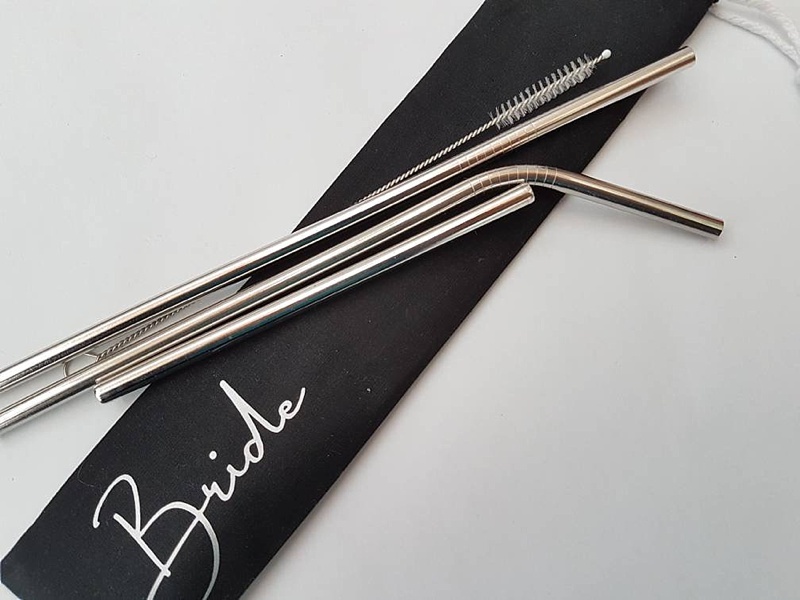 For the ultimate wedding favor that gets some use on the wedding day itself to eliminate cocktail straws, these are just too perfectly chic and would look great at every guest's place setting. 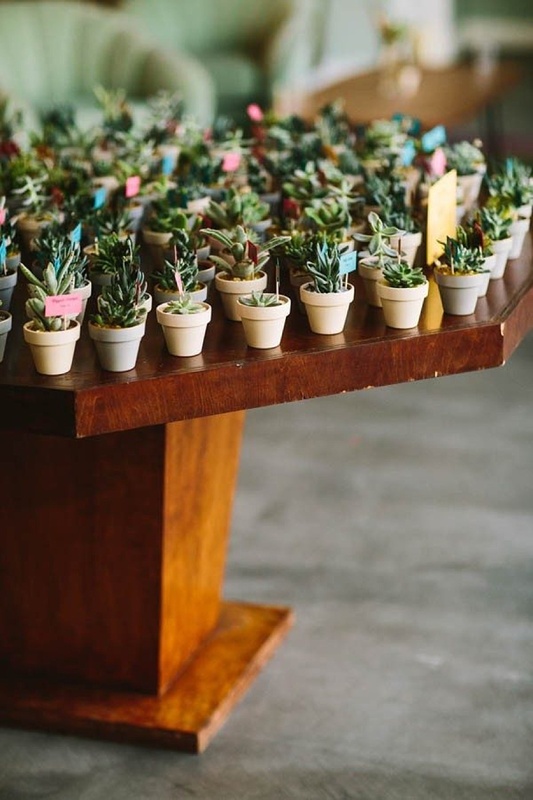 Not just pretty decor, potted succulents or tiny plants can also be the most literal green gift ever. Be sure to set up a sign letting guests know to take one with them. For any leftovers, plant them in your yard or give them to a community garden. Made from 100% recycled gold, these dainty sweet rings are a perfect choice for the understated eco chic bride. 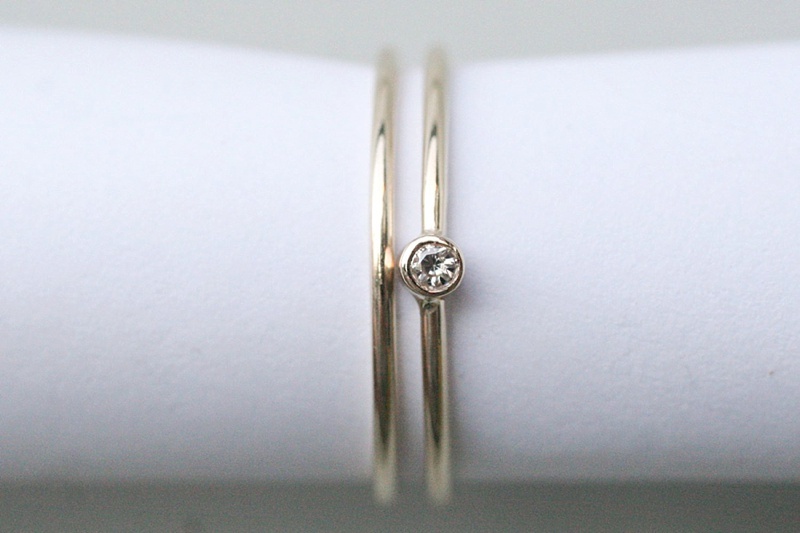 The stone is moissanite which is created in a lab, so you can rest well knowing it's also been ethically sourced. Who knew that recycling could look so gorgeous? Whether you're tying the knot on Earth Day or just want to be more eco-conscious with your celebratory toss, consider using small leaves for a environmentally responsible option. 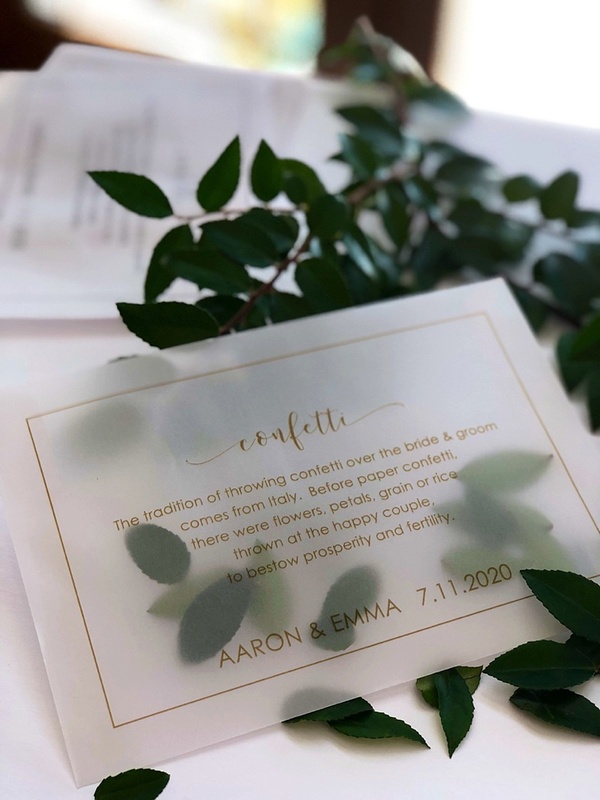 Tuck those leaves in a recyclable vellum envelope and let your guests know that it's a lovely trend from the past. Leading the Fair Trade mission in the wedding industry, Celia Grace makes stunning wedding attire that celebrates and educates. These particular bridal pants are made of a sustainable bamboo fabric and are made to order at their Fair Trade cooperative in Cambodia which means dressmakers are paid fairly and practices sustainable production methods. Not only sourced ethically, but each gown or outfit purchase contributes to Tailored For Education, a non-profit that provides school uniforms to children in underdeveloped countries. Swoon to handmade paper and the artisanal touch, especially when it's made from recycled cotton! When something is made in small batches, it creates less waste, and that's why we love these unique place cards made by Etsy artist Amelia! Consider eliminating paper menus completely by having a giant chalkboard sign detailing what's to eat and drink at your wedding reception. 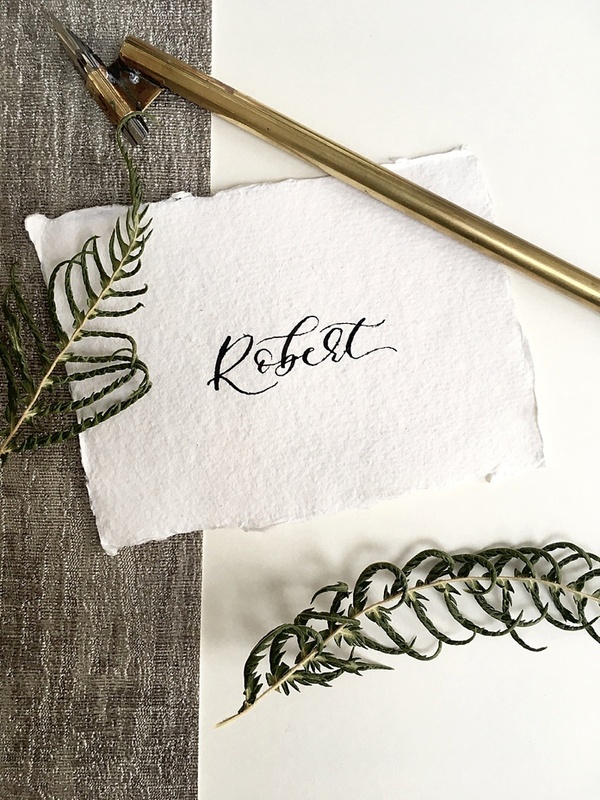 Illustrations and elegant calligraphy can take it to the next level for your theme.